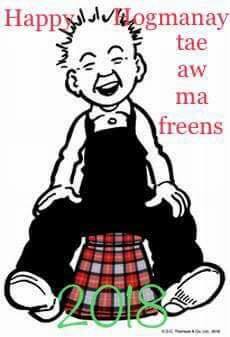 This is whit happens whan guid Lunnon folk inveet a Scots speaker roon fur their Xmas denner. From Outnumbered Christmas special 2009. Mostly positive reaction to Matthew Fitt’s translation of the first harry Potter book. The first book in the Harry Potter series has had a Scottish treatment and has been translated into Scots. Harry Potter and the Philosopher’s Stane marks the 20th anniversary of the first publication of the boy wizard’s adventures. 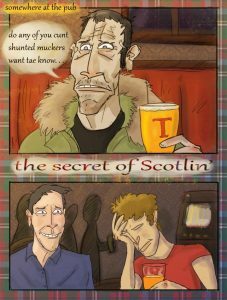 Harry Potter has a strong Scottish connection. Harry Potter and the Philosopher’s Stone has been translated into 80 languages. There has been a French edition (Harry Potter à l’école des sorciers), a German version (Harry Potter und der Stein der Weisen) and even a Latin one (Harrius Potter et Philosophi Lapis). Harry Potter and the Philosopher’s Stone is not a very good book. Harry Potter and the Philosopher’s Stane is terrific. 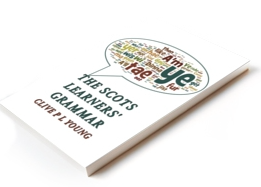 The Scots version of JK Rowling’s debut, to be published this Thursday by Itchy Coo, is the 80th language into which the novel has been translated. But what is the point? 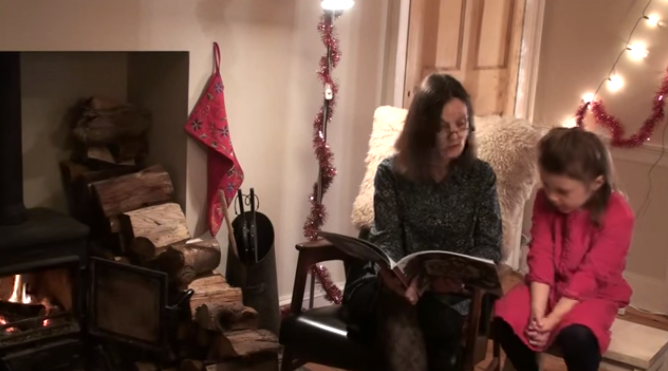 Can You Translate The Scots Version Of Harry Potter? Does Hoggiehaugh mean Hogwarts, Hagrid, or Hogsmeade? 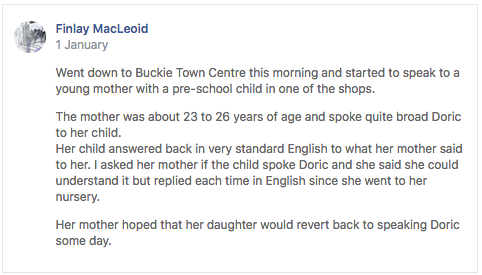 But this is Scotland, mind…. The world’s first Scots-speaking predictive text keyboard is available from Swiftkey. Examples of current and historical Scots texts for the SwiftKey team after being contacted by the developers. This includes material from The National, Bella Caledonia, Robert Burns and even Facebook, as well as content from the new edition of the Concise Scots Dictionary, published this month. 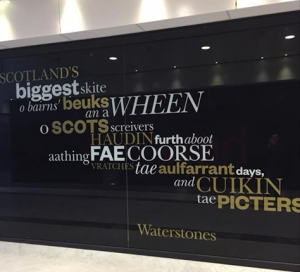 The system uses artificial intelligence (AI) to adapt to the user’s writing style to recognise, autocorrect and autopredict Scots and is capable of running between both Scots and English at once. THERE have long been those who think broad Scots is impenetrable gobbledygook. TEXTS in a fankle because your phone disnae ken whit yer oan aboot? Dinnae fash, the world’s first Scots-speaking predictive text keyboard is here – and The National helped developers build it. Techies at Microsoft subsidiary SwiftKey used material from this newspaper to teach their programme how to recognise, autocorrect and autopredict in Scotland ‘s ither national language. THERE have long been those who think broad Scots is impenetrable gobbledygook. And, for years, thanks to mobile phone auto-correcting our second most-spoken language, they might just have had a point. Now, however, Scots speakers can text or tweet without their words being mangled thanks to a new app.